Once upon a time House Party was just a middle-of-the-day telly show you only got to see when you’d wangled a sickie off school. It ran on Southern ITV through the 1970s and into the 80s and featured a line up of mumsy middle class ladies, the very antithesis of Loose Women. Anyway, by the end of the 1980s all that had changed, right matey? On one? And across eight 12” mixes this dusty little elpee helps explain why – Acid House. Beechwood must have put moments of thought into the sleeve design (a house f’Crissakes!) for this early doors vinyl-only selection box of Acidic gems kicking off with the scene’s landmark chart topper, Theme from S-Express, as DJ Mark Moore caught the wave with his Rose Royce and Debbie Harry samples. Still a classic though. The ripest cut here though is Smith & Mighty’s dubby The Dark, Dark House that shows there was plenty of lively life in Bristol long before it found its trip hop groove. This was Acid pioneers Rob Smith and Ray Mighty moving their sound on from their pioneering overlay of Burt Bacharach’s Walk On By and Anyone Who Had a Heart with skeletal house beats. 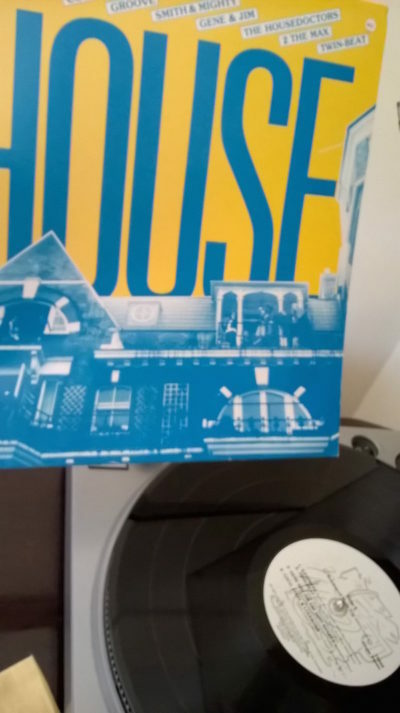 The Cut & Bandage Mix of Housedoctors (Gotta Get Down) might not be the one the ravers most readily turn to but it has its moments, not least that rushy bass pulse and whistle-ridden breakdown; while Gene and Jim Are Into Shakes’s Shake! (How About A Sampling, Gene?) was a thumping great Ibiza smash in 1989 propelled by a PWL (yes, Pete Waterman’s bunch) remix and samples from Batman & Robin and Mel & Kim. Coco, Steel & Lovebomb’s The Sound of Europe Part 1 is one of those period cut ups, an aural collage driven by whomping great percussive breaks and Twin-Beat’s Let’s Pick up the Pieces (and Make Some Music) rearranges the Average White Band groover with some Lady Penelope dialogue. People of All Nations by The Max picks up the pace just a little and slips some classic indie house piano under a symphony of squelches with a big vocal on top in a classic Republic Records garage release of the period; then there’s Groove’s Submit to the Beat with its Car Wash guitar lick, Three Degrees vocal tick and Visage sample it’s a classic synth pop fizz and tingle.